Carmakers are rushing to the front but who's really doing it right? The basic concept of autonomous cars has been around for a very long time, but once companies like Google actually started working in the field, development of the technology proceeded at a dizzying pace. Google's Waymo, General Motors Cruise Automation, and independents like Argo AI, have all pushed forward so fast that legislation covering the legality of driverless cars can barely keep up. With more self-driving cars hitting the road every day, we're taking a look at the eight best driverless car manufacturers out there. The Society of Automotive Engineers developed a scale, from zero to five, to describe the level of autonomy exhibited by any driverless car. 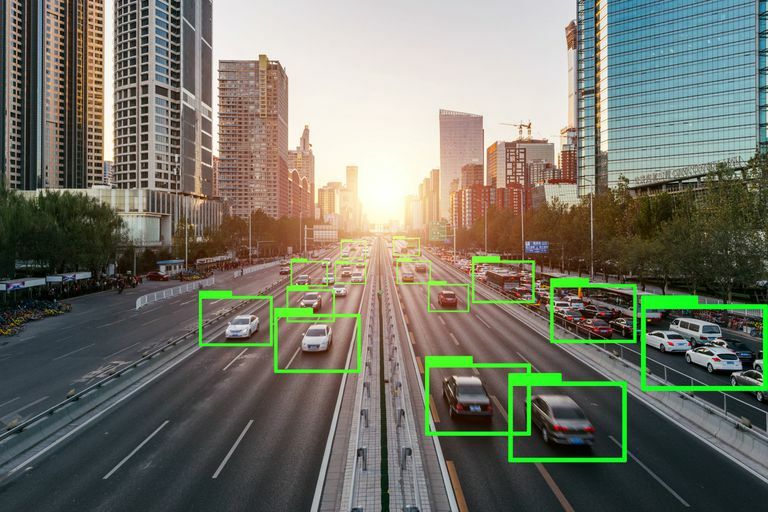 Most of the companies in this list are testing level four and level five self-driving cars that require no driver interaction, although most near-term plans involve level three autonomy that requires the driver to remain vigilant at all times. Waymo started out as a project at Google, and it operated in relative obscurity and secrecy for a surprising amount of time. By the time Google went public with their self-driving car program, and later spun Waymo off as a separate Alphabet Inc subsidiary, they were already off to the races. The main disadvantage working against Waymo is that it's essentially a tech startup with massive artificial intelligence (AI) and machine learning expertise, but it isn't part of, or even backed by, an automotive manufacturer. It has overcome that disadvantage by partnering, and working very close, with manufacturers like Chrysler and Jaguar. Waymo self-driving cars have notched more miles, and had fewer accidents, than any other driverless car initiative, and the company even operates a ride sharing service in Arizona. Prior to acquiring Cruise Automation, GM had fallen behind the competition. General Motors fell behind self-driving technology competitors like Waymo, but the strategic purchase of Cruise Automation allowed them to jump right back to the front of the pack. Cruise Automation started out making self-driving conversion kits for Audi vehicles, but the GM subsidiary quickly shifted focus to adapting their technology to control vehicles like the Chevy Bolt. In addition to its efforts to bring true driverless cars to the market, GM also offers a self-driving system called Super Cruise. This system only works on highways, and it relies on extensive mapping work done by GM. Super Cruise is capable of operating a vehicle autonomously on any supported highway, but it returns full control to the driver if the vehicle enters an area that GM hasn't mapped. Daimler is a front runner in the field of self-driving cars, but its efforts fall short of both Waymo and GM Cruise. It's initiatives are also more relevant to European drivers than American drivers, because the majority of Daimler's testing of their most advanced autonomous systems have taken place on European streets. Intelligent Drive, which is available in some Mercedes vehicles, offers a close approximation of a self-driving experience. It's more of an advanced form of adaptive cruise control with the ability to recognize and avoid pedestrians and obstructions in the road, but it still requires constant supervision from a human driver. Daimler has stated that the its fully self-driving cars, which meet the stringent requirements for a level 5 autonomous vehicle, will be limited to use in ride share services. Ford's self-driving car program lagged behind the competition until it made a significant investment in Argo AI. This is similar to the way that GM jump started their own program by purchasing Cruise Automation, but Ford didn't actually buy Argo. Since Ford's self-driving program is less mature than the programs fielded by most competitors, they have fewer real-world testing miles than either Waymo or GM Cruise. Through partnerships with Postmates, Walmart, and other companies, Ford has shown how their Argo AI-powered self-driving vehicles can effectively replace a human delivery driver. Aptiv has an interesting story, because it is neither a tech startup or a major automaker. It's actually the latest incarnation of Delphi, which used to be GM's automotive parts division. Emerging from bankruptcy, Delphi's powertrain business retooled itself as a self-driving technology company, and it has made some impressive strides in that field. The main problem with Aptiv is that it has very little experience with the US market. While it has operated a self-driving ride-hailing service, similar to the network run by Waymo, that network is in Singapore. Aptiv's subsidiary NuTonomy has performed self-driving tests at city speeds in Boston, MA, but it has a long way to go before it catches up with competitors like Waymo or even Uber. Tesla is a little different from other self-driving car companies, because its vehicles already come with all the hardware that's required for an autonomous vehicle to operate. The idea is that when enough data is available, and Tesla has managed to develop their self-driving AI sufficiently, they will be able to push a software update to enable driverless functionality. Tesla Autopilot is a system that's a lot like GM's Super Cruise, in that it enables a self-driving car experience under very specific circumstances. The system is designed to only operate at highway speeds, and it requires constant supervision by a human driver. Tesla's self-driving initiative suffered a major setback when an Autopilot user suffered a fatal accident with the system engaged. While it's possible that Tesla's self-driving AI could eventually work without the type of expensive LIDAR systems used by the competition, whether or not that will actually happen remains to be seen. Bogged down by a lawsuit filed by Waymo parent Alphabet Inc.
Uber made a major play in the self-driving car race when it brought in key employees from Carnegie Robotics and acquired the automated vehicle technology startup Otto. It was able to roll out a pilot program, with real self-driving cars on real city streets, on an impressive timetable. In addition to tests in a number of areas around the United States, Uber operated a pilot driverless ride sharing program in Phoenix, AZ. Vehicles in the program were fully automated, with human safety drivers along for the ride in case of emergencies. Uber suffered a major setback when one of its self-driving cars was involved in a fatal accident with a pedestrian. There was a safety driver present, but they were allegedly watching a TV show at the time of the accident. When Uber's self-driving vehicle tests started back up, they were limited to much slower speeds and also operated in a far more limited fashion, causing the ride-sharing giant to fall even further behind the competition. Volkswagen has a lot of irons in the fire, between its own in-house technology and plans to potentially use self-driving technology from Argo AI. It even has a system that's roughly as powerful as GM Super Cruise or Tesla Autopilot. The catch is that Traffic Jam Pilot, which is available as an option on the Audi A8, isn't available in the United States. The different highway conditions in the United States compared to Europe, and the massive costs to perform the type of manual road mapping that GM underwent for Super Cruise, mean that you won't be able to experience Traffic Jam Pilot outside Europe. Volkswagen's other self-driving initiatives are further behind, but their willingness to explore partnerships with agile tech companies like Argo AI is a good sign. Are Autonomous Cars Truly Driverless? Do Car Deer Whistles Work? Do You Need Automotive Night Vision for Your Car?